Go to Admin > Manage Form Fields. 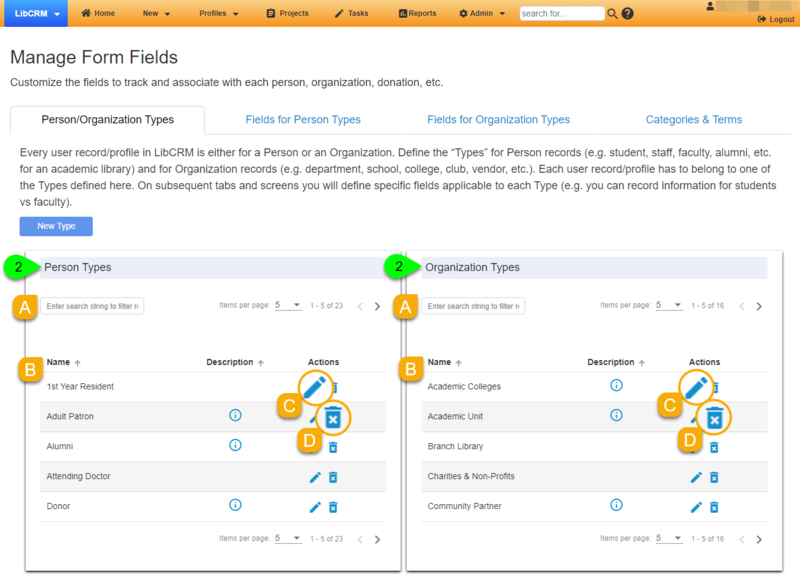 Under the Person/Organization Types tab, you'll find the Person Types and Organization Types listed in their own boxes. Use the filters in each box to filter the respective lists. Type in the Filter field to search for types by name or description. To edit a type, click on its mode_edit icon in the Actions column. To delete a type, click on its delete_forever icon in the Actions column. This will only delete the type -- it will not delete any profiles assigned to that type.